Direct connetction to vehicle’s fuel sensor. DSF22 have unique fuel control module with possibility connect to vehicle’s original fuel sensor. No matter – is it passenger car, commercial van, truck or tractor. 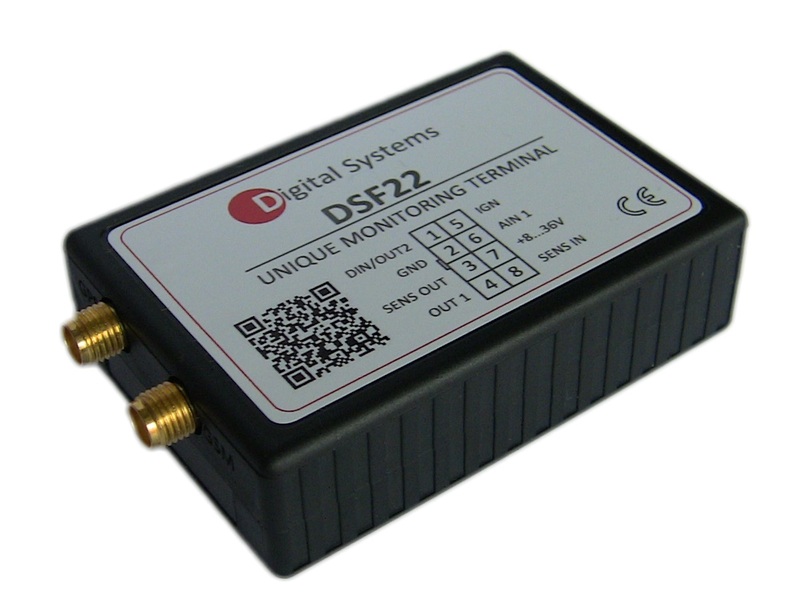 If there is fuel sensor in the fuel tank, DSF22 can read it and provide accurate information about fuel level. Each time after vehicle’s ignition is switched off, DSF22 remembers actual fuel level in vehicle’s fuel tank. In case if fuel level drops, DSF22 will send SMS alert to predefined phone numbers and activates siren. Fuel theft alarm works with vehicle’s original fuel sensor, there is no need to install additional fuel sensors. DSF22 have built-in fuel data procession algorithm. Depending of vehicle usage, aquired fuel data will be processed, removing noises cause by fuel moving in the fuel tank. As result of data procession, DSF22 will send correct amount of fuel to monitoring server. With help of speaccialy designed idle mode, DSF22 have very low power consumtion – only 38mA, with full functionality. No need to disable features to reduce power consumtion. Copyright: Digitalsystems.lv. Developed by Dokumenti24.lv.